What makes a great Affiliate Site? 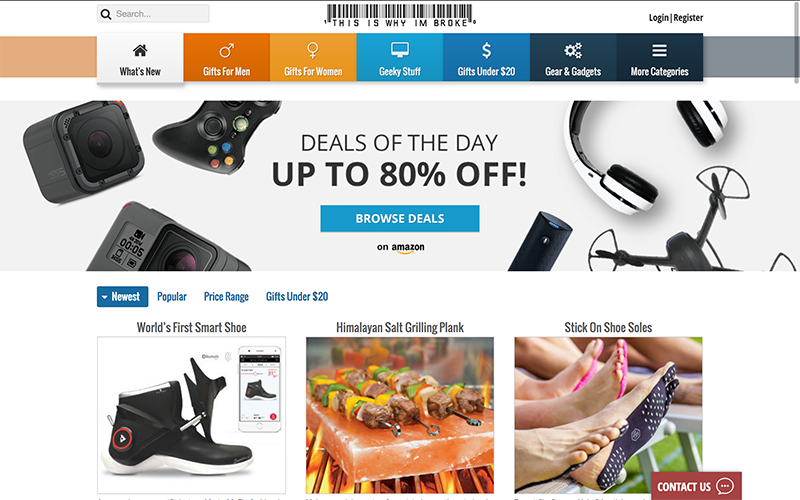 Technically speaking, it can be any site that has signed up to the Amazon Associates program. You or me can sign up for free and start placing Amazon products on your site. When your site visitors click on them and purchase the product, you get a small percentage of the comission. Have relatable products to the content on the site. Don't advertise the latest video games for sale on a site that's about fishing. The traffic coming to your site is full of potential customers which have clicked on your site for a reason; the site content. Having products which relate to that content can dramtically increase your amazon affiliate earnings. Simple, non-ontrusive ads. No one likes visiting a site that's full of adverts. Place one or two carefully selected ads on your site and make sure they don't get in the way of your on-page content. "Content is king". Your users are more likely to "trust" the links you place on your site if they see that the content you are creating is relevant, in-depth and provides value. Have buyer intent content. Sites which posts reviews of products probably have users who are more willing to purchase products than those reading about product details. Getting buyer intent content can be difficult because you need to understand the psyche of your potential customer. If you already own a website, you know how much time and effort you can put into your site's content. Well, when you have to think about affiliate marketing, you need to put in even more effort. But, as you'll see from the sites below, the effort can be well worth the reward. 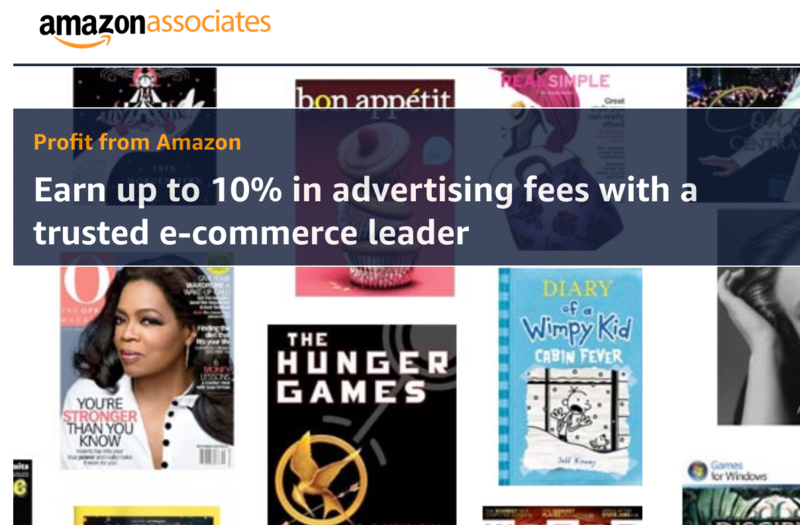 You can also use the Amazon Affiliate API to create more dynamic displays of products, instead of just using the options provided by Amazon themselves. Here is our Amazon Affiliate Website List. The sites below are some great examples and ideas of how to make amazon affiliate sites. These sites have been specifically chosen for how they present their products and content. We'll analyse what these sites are doing right and how you can replicate them on your own website. This is an example of how you can make a blog into a great affiliate site. SnapCreativity's focus is all about creating; arts and craft, home decor, DIY and even tips you can take on for your own blogging site. 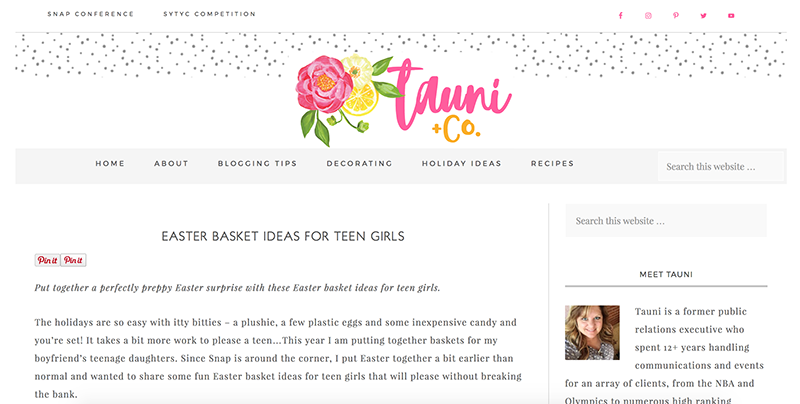 I've chosen the site's blog post on ideas for creating easter baskets as the example page. GOOD - Website design is fitting with the blog theme and content. You don't feel like you're being sold anything, rather someone is offering you tips of where you can find things to do yourself. The feeling you get of reading the page is one of someone who has a great knowledge of the products too; giving you confidence in what you may purchase. GOOD - Custom images of products. The montages of products make it feel more personal, rather than offering a simple amazon affiliate widget listing products. I feel this works well for this site. GOOD - High amount of social shares on Pinterest show that this content is very sharable, meaning more likely to pick up traffic from interested users. Pinterest is great for DIY type posts because you can make a huge collage of different products into one PIN and share it with hundreds of others, who can also share it with their followers. CONCERN - The amount of affiliate links in this post is huge. The problem with this is it can sometimes become overwhelming for the user (say instead of focusing on a single product). I feel for this type of post it's fine, but you do want to watch the amount of affiliate links you add. There are reports that google favors sites which aren't full of affiliated links than those that contain lots of them. Who said you needed to have an actual website to be an Amazon Affiliate earner? TechDeals is a YouTube Affiliate channel with over 150,000 subscribers and the content is all about building your own computer. The videos have amazing depth to them and all products featured in the videos can be purchased on Amazon. GOOD - Incredibly in-depth videos for building your own computers. Contains curated playlists which allow you to build your own computer and follow along with each video. TechDeals even do "assemble" videos which show you how to use the products featured in the videos. GOOD - Affiliate Links to all products are in the description of the video. 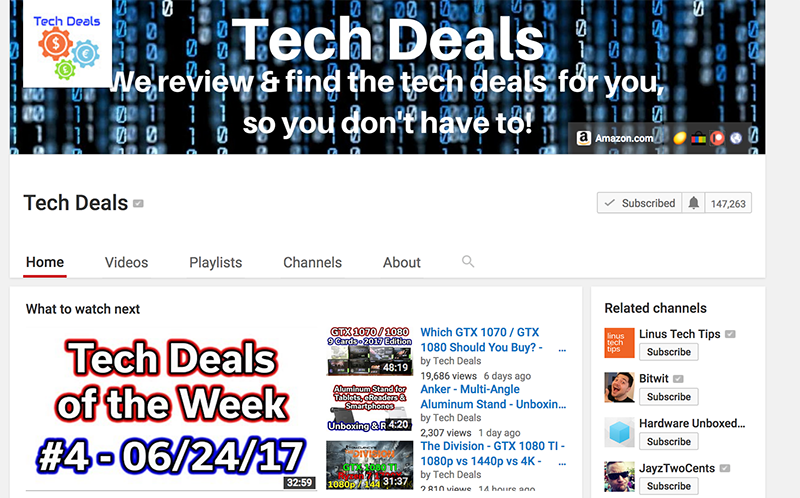 TechDeals often refers to their video description links, pointing users in the direction of where they can get their hands on the products. He even uses NewEgg Affiliate, to give users a price comparison between the same product- but still earning a commission on either site. CONCERN - TechDeals doesn't have it's own dedicated website. Although probably not a huge problem in 2017, I'd still like to have my own website with contact information, maybe even a couple of in-depth articles to follow up the videos. Niche Websites in Amazon Affiliate marketing are some of the most popular to make. The reason? They're simple to make. You focus on one type of product, in this case it's razors, and all of your site content is fitted around it. 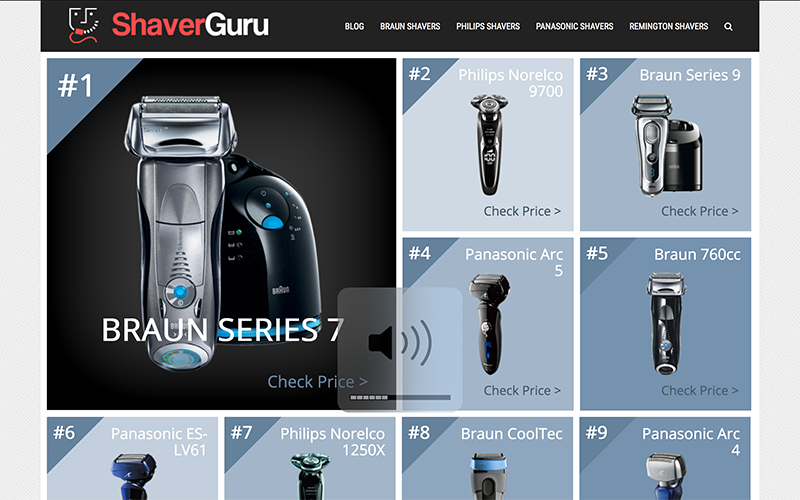 ShaverGuru is a great example of a niche site with a great site design. GOOD - Indepth pages about products. It includes lots of multimedia and clearly a lot of time is spent on the product pages (it's not just some simple WordPress site with a boring article template). There are several Amazon Affiliate links throughout the review of the product, always giving the customer a chance to check the product on Amazon. GOOD - A technique I've seen used quite a lot is the "Check Price On Amazon" link. Instead of displaying the product price, they display a hyperlink with anchor text of Check Price. This makes the buyer more curious to click the link and see how much the product is. And remember, Amazon have a 24 hour time limit before your affiliate cookie expires, meaning if the potential customer buys anything on Amazon within that 24 hour period of clicking your link, you're going to get a commission! GOOD - As well as the indepth article, there is also a "quick information" area which displays the details of each razor. This is great for users who don't want to read 2,000+ words and/or only need the specifics. If helps maximise your potential buyers. CONCERN - The main issue I have for the site is the page speed. It does take quite a while to load due to all the media elements on the page. Google Page Speed gives it a reasonable 75/100 on desktop but for mobile loading it's only 57/100, which could mean the site doesn't perform well for mobile users. Book review sites have long been a profitable type of site to run. GoodReads was one of the most popular book review sites and Amazon agreed, purchasing it for hundreds of millions of dollars. 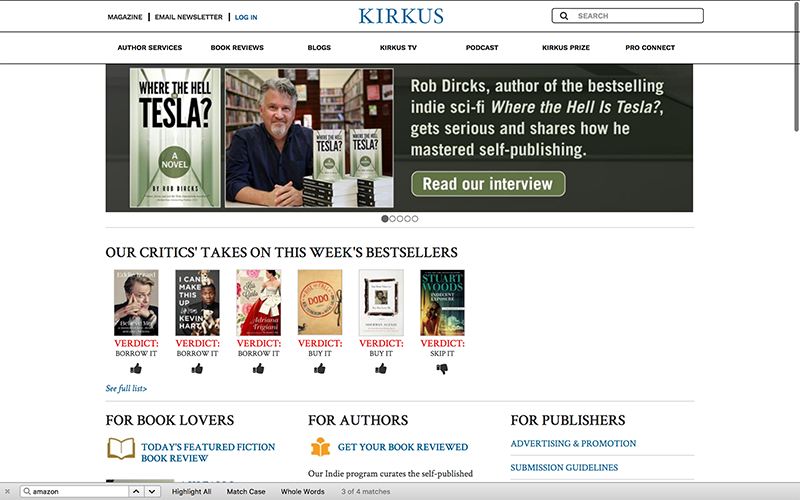 Kirkus Reviews follows the trend of reviewing every single book out there and each page contains an affiliate link to Amazon. When you choose a product like books, you'll never run out of new products to review! GOOD - A great category of products to choose from. When making an affiliate site, you'll want to always keep it up to date with the latest trends and products. Books are a great product because there are always new authors looking to promote and get their books out. GOOD - Not just an affiliate site, it also offers professional writing services, advertising campaigns and podcasts. ALl of these areas of the site help bring in new traffic to the site. CONCERN - Some of the reviews are very brief. For someone who loves books or wants to get a really good insight into new books they are looking to buy, this could come across as lacking. 100DaysOfRealFood is all about eating healthier; the challenge is to eat for 100 days without consuming any processed foods. Sound tough? Well not with this website. There are thousands of recipes that you can use to cook healthy meals, along with other self-benefiting guides when it comes to preparing meals. 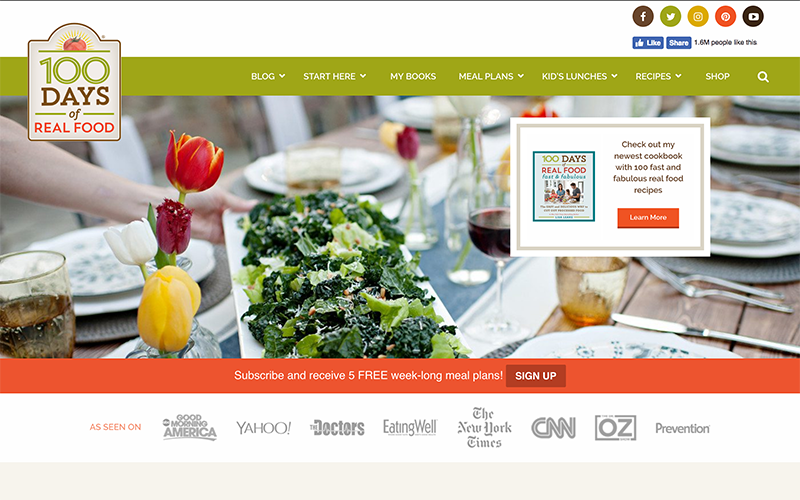 GOOD - The site uses recipes to promote a healthier way of living; and for each recipe there are affiliate links to the ingredients needed to make the recipe. GOOD - There are also pages which are dedicated to affiliate products. The Kitchen Essentials link is one example, where you can find anything from chopping boards to coffee machines. GOOD - The idea of a "challenge" helps get people involved. People love to do these kind of activities with their friends and the site has carefully crafted recipes for you to follow along with. The site even has a best-selling book based off the idea! CONCERN - None! I actually really like the minimal design on this site, and the page loads really fast. Articles are very informative and there is great content on this site! The next few sites are based on their massive scale and success. These are some of the top websites that use the Amazon Affiliate program; whilst getting to this level is near impossible, it's great to check out what the big guys are doing so you can see how they manage their ads and links. Most of us who have played video games will have used IGN in the past. It has a vast scope of video game content, from game walkthroughs to reviews of the latest releases. 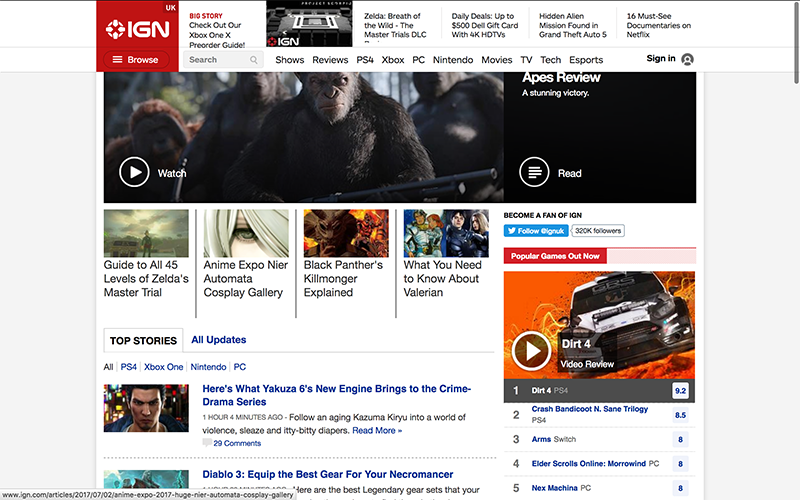 The site covers all the major gaming news and is a great way for fans to keep up to date. GOOD - The content on the site is amazing. Each game has a review, which lists the price of the product at the end (and affiliate link). IGN's reviews are always looked at by gamers when they decide about whether they want to buy a game or not. This shows how powerful and relied upon their content is. GOOD - Like books, Video Games never run out. There is always a new game coming out, always a new review to post or news article to report on. This helps keep the site fresh and visitors coming back for more. GOOD - IGN doesn't just offer written articles either. They have heavily invested in video content over the years, which means they can appeal to a wide range of audiences. The videos can help summarise 2000+ word review content into short 5 minute videos. CONCERN - I visited the site without adblock or uorigin turned on, and wow, the site has a lot of ads. For most of us, this won't matter, but for your average viewer it may turn you off using the site, especially when the site is loading lots of video related ads too which can lag your web browser. 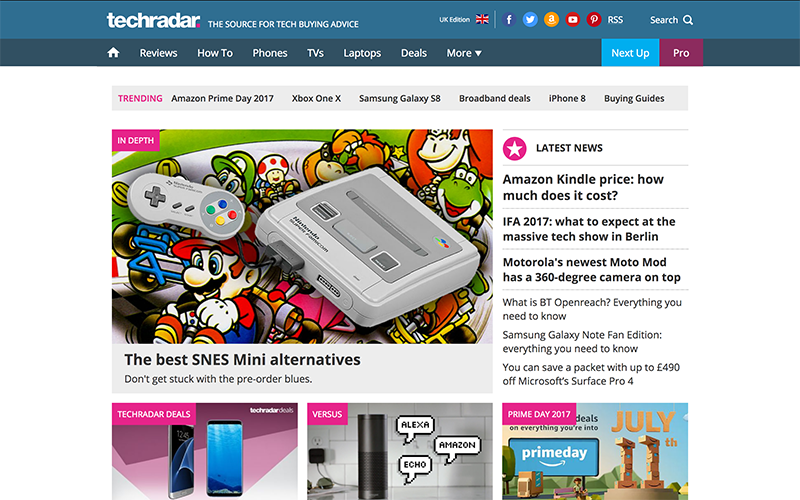 TechRadar is a huge website devoted to reviewing the latest technology trends. The site has dedicated review sections for literally every kind of piece of technology you can image, including consoles, smart phones, tablets and laptops. They also product very informative articles about different items, helping you make a valid choice when choosing a product. GOOD - A review site is only as good as its integrity to giving you a balanced and unbiased review of products, and TechRadar sets that out as its main aim. Each review is done by their technology review team, meaning they're going to be making sure they put the product through it's paces. GOOD - The amount of content is massive. They are one of the most up-to-date sites in terms of getting indepth reviews out first for new products, which means technology enthusiasts regularly revisit to see what the verdicts are. GOOD - Not only do they provide Amazon Affiliate links, but also links to other stores. They use a price comparison table which shows you where you can buy the product the cheapest. This gives the customer a feeling of more control and a better deal when buying products. CONCERN - A similar theme is occuring with these big sites- their sites are full of ads. Visiting without Adblock on causes the page to hang for several seconds whilst it loads video adverts, animating banners and annoying scrolling ones too. 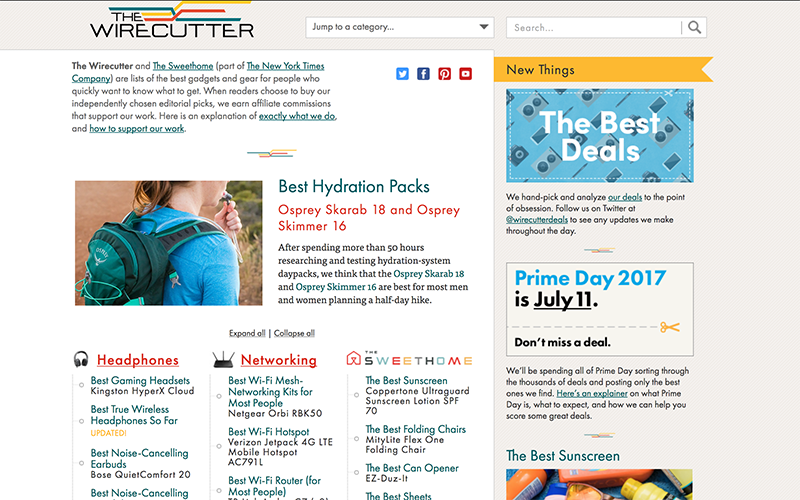 TheWireCutter is a site owned by the New York Times Company and is another review-type site. TheWireCutter reviews groups of products, tests them out and lets you know the cons and pros of each product. GOOD - Personal touch. In the page example I give, the folks at TWC give the review a very personal element by explaining to the readers why you should trust them. They give a detailed account of how long they have tested the products, who tested them and how they tested them. This is great for buyer confidence. GOOD - Most, if not all, the products on TWC are directly from Amazon. They don't try and confuse the reader with multiple offers, they get straight to the point. I know I've said in previous points it can be a good thing to have multiple store options, but it can also be a good thing to have a single entity. GOOD - Although the site focuses on mostly gadgets, the good news is that there are hundreds of thousands of gadgets across thousands of different categories. TWC does a great job of covering multiple groups and displays them on their front page. CONCERN - The athestic of the site looks a little dated, especially article fonts and graphics. The site is almost 6 years old, so it's to be expected. I just feel for those who have no idea about TWC, they'll find much more pleasing results on new upcoming sites. This geeky-themed website is all about posting the products you are interested in. And with each product shown, an affiliate link accompanies it. The site works by allowing users (and companies) to post products that others might be interested in. The most popular products are taken to the front. GOOD - Users are allowed to submit products that you might be interested in. This means that user-generated content helps with the workload. Instead of having to source out the products yourself, you have others doing the hard work for you. GOOD - The most popular products can be "saved" by other users, meaning they can help you sort the useless products to the real gold mines. This method means you get affectively free product research on what is popular. GOOD - Infinite scrolling allows for you to continue on the site without having to navigate away from the main page. It makes searching for products easier and lets users browse seamlessly. CONCERN - Each product comes with a short description. Finding more about the product means you either have to do your own research, or rather cleverly, click the affiliate link to view the product. These short descriptions may have a negative effect on SEO (ranking for long tail keywords). Price comparison sites are a plenty; in fact I couldn't decide which site I wanted to place in this list, but I settled with PriceGrabber. The site works by listing products with multiple shopping outlets, displaying and comparing the price. GOOD - Price comparison sites are great when you are looking for an item that is literally everywhere and the quality is normally always the same. 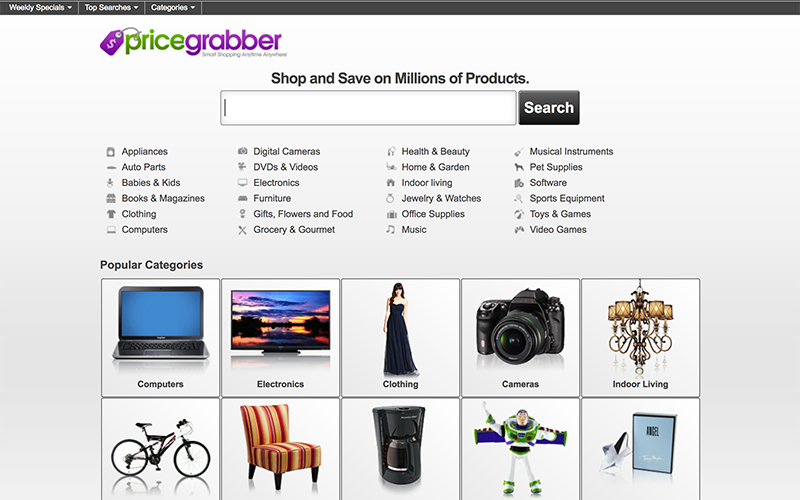 PriceGrabber lists lots of these types of products, such as TVs, Phones and Computer parts. GOOD - Good sorting and search options. When a site like PriceGrabber has thousands o products, being able to sort by item details like size, brand etc really help with the user experience. GOOD - Very few annoying ads. I couldn't see any when I visited without adblock on, which makes a great change considering some of the other examples. CONCERN - The site is very outdated in terms of it's design. It also doesn't provide much product information; some products don't even have a description. I really hope you found this list useful and helpful in terms of finding different examples of Amazon Affiliate sites. A lot of these sites have been around for years and years so if you're just starting out, keep at it and keep building great content. If you have any examples of sites you'd like to see listed, leave a comment below and I'll happily review them! 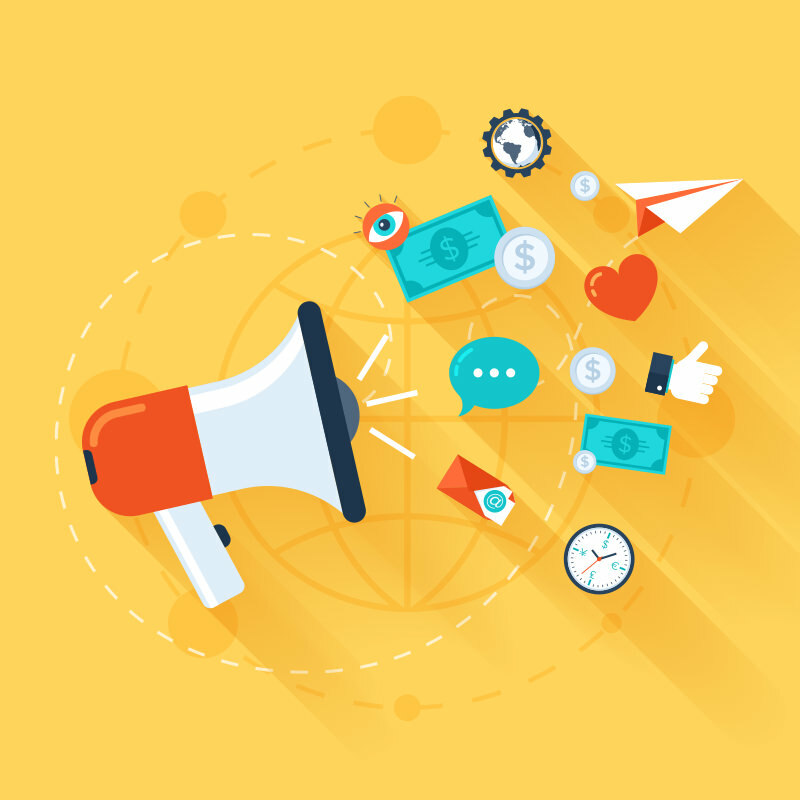 This is a pretty good list - especially for those that want to improve their affiliate sales. Content really makes everything pop on the Associates side of things. I started getting monthly Associate payments after a dry spell when I doubled down on creating helpful blogging content and also created some nifty, seamless, customized ads that fit perfectly at the end of my blogging themed and travel themed blog posts. I also have 124 of my own eBooks and 170 plus of my own products to sell from Amazon. Nice form of legal double dipping LOL. Super examples up top. @Ryan Biddulph That's amazing; 124 ebooks! Do you write them all yourself? What kind of products are you selling? You do seem to be very active on Twitter; do you get a lot of traffic from them? @Patchesoft Yes, I wrote every single one. Plus 2 more on Selz, 15K words for those ;) I sell audio products, video, text and audio products. Mostly geared towards teaching blogging. Yes plenty of traffic from Twitter.